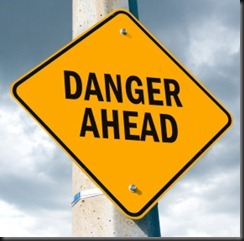 Do You Have Any Of These Warning Signs In Your Life? There are symptoms that require immediate attention such as chest pain, shortness of breath and acute abdominal pain, and then there are less-pressing ones that people tend to put off for as long as possible. It’s not necessarily that we put them off, it’s that we don’t always know how to meaningfully interpret them. Because we’ve not been taught to listen to them and ask them what they have to say, we’ve instead consented to silence them. What’s more, very few practitioners have the wherewithal to interpret their patient’s physical and psychological communications—it’s become a lost art. One of the true tragedies of the western healthcare system is that it’s designed not to figure out what our symptoms have to say. Success in healthcare is to silence symptoms, be they hangnails or high cholesterol. The more silenced they become, they more successful the treatment is considered to be. But silencing anything in the short term generally leads to compounded problems in the long run. Shushing a child may be an effective short-term strategy, but it’ll prove disastrous at some point. And so it goes with chronic or recurring symptoms. A scorpion or a snake bite? That’s a great time to focus on the symptom and treat it accordingly. Bone sticking through the skin? Perfect occasion for drugs and surgery. Chronic health issues? Not at all a good idea to silence and ignore them, because just like Frosty the Snowman, they’ll be back again someday. Are You Developing Serious Health Issues? The following list contains some of the more commonly ignored symptoms. If you’re dealing with any of these, it’s likely that you’re developing deeper health issues that you may not be aware of.